The Enclave at Brushy Creek in Hutto is located off of Hwy. 79 & 685. It is a great little neighborhood for fist time home buyers as well as those wanting to start a family offering entry level pricing. Zero down USDA financing may offer some home buyers the chance at getting in for little money down. Home buyers will get a LOT of square footage for the money. Resisents also will enjoy quick access to Round Rock shopping at the Round Rock Outlet Mall in Round Rock, IKEA, and Wolf Ranch in Georgetown. Homebuyers may also be able to enjoy the fireworks show during baseball season from the DELL Diamond as well. 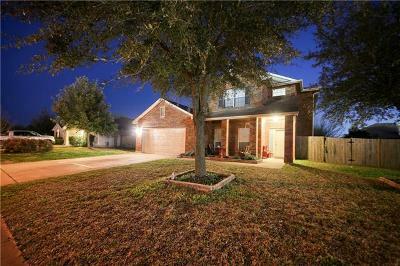 Homes for sale in Enclave at Brushy Creek typically run from the mid $100's-low $200's.